Legastelois J.P. - 1918/19 - Franco-American Struck Bronze Medal, 68mm. 138.0g. Edge-punch: Paris Mint Cornucopia BRONZE.Schulmann LXXV,4. 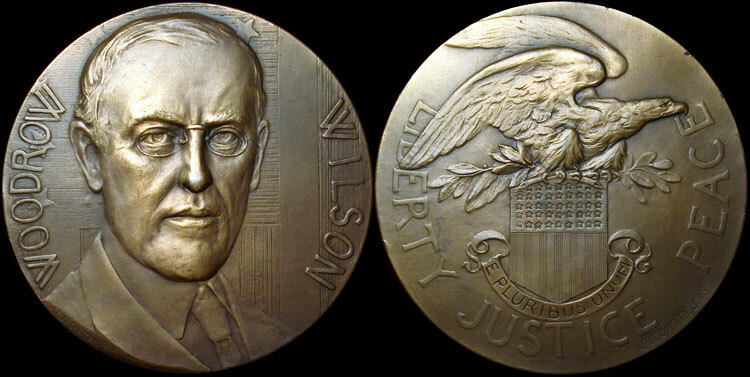 Wilson facing front, 1/2 bust. Eagle right atop laurel and U.S. Shield LIBERTY JUSTICE PEACE.